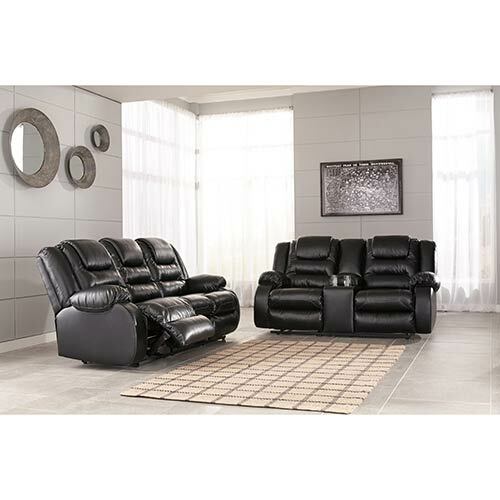 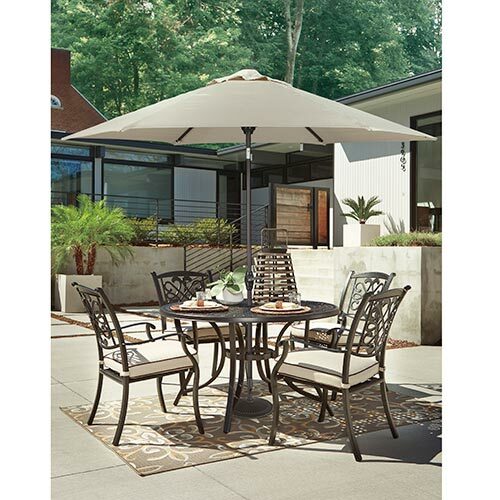 Perfect for a family of 4, this outdoor furniture set has enough space for everyone to gather around. 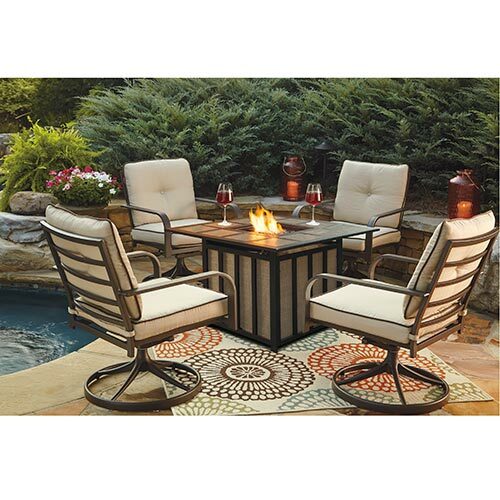 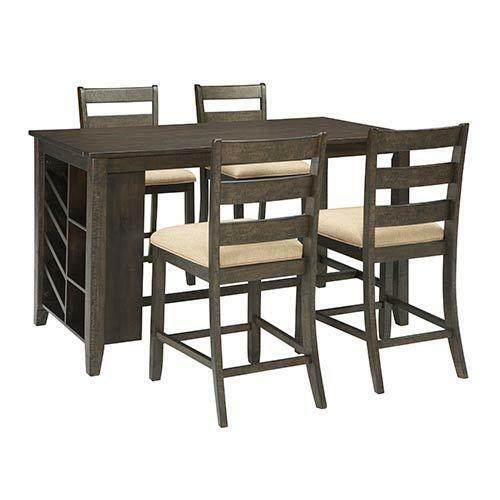 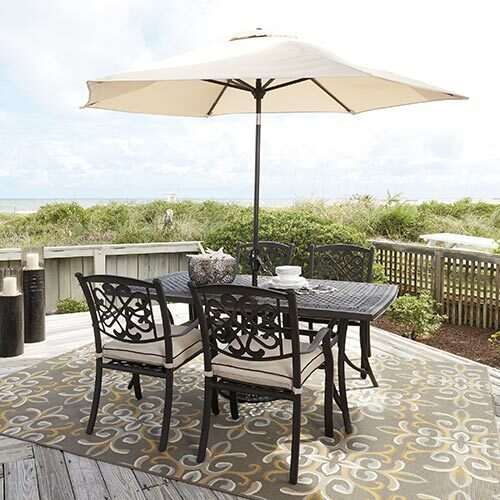 Gather around and enjoy the outdoors with this table and chair set, the perfect place to host a BBQ. 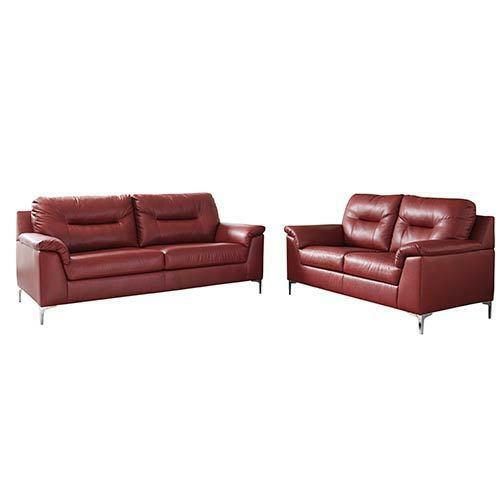 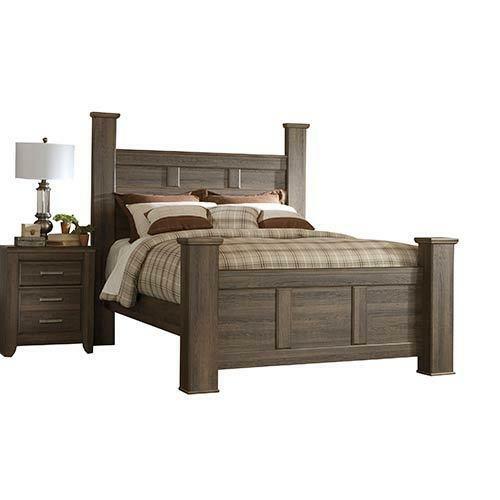 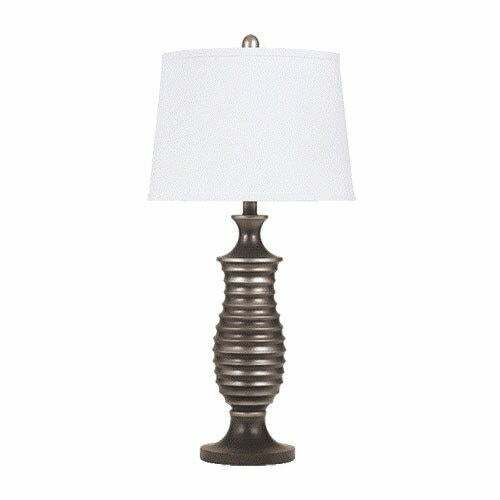 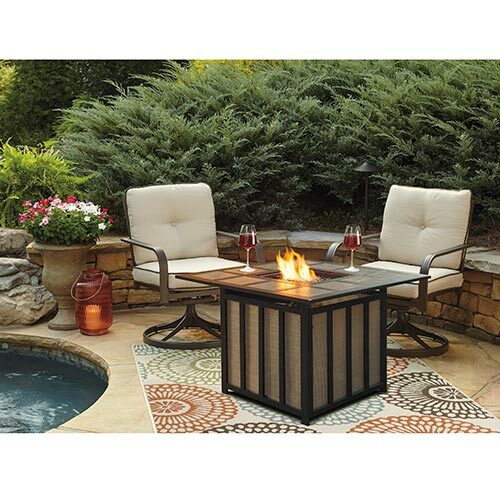 Set the mood for an outdoor date night by the fire with this 3-piece set designed for romance. 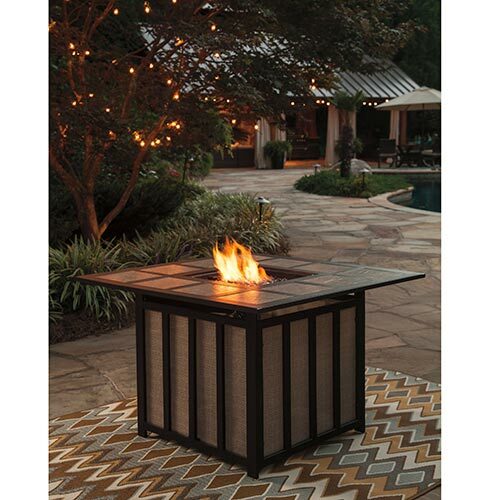 Enjoy your backyard, even when it's chilly, with the comfort and warmth from this outdoor fire pit. 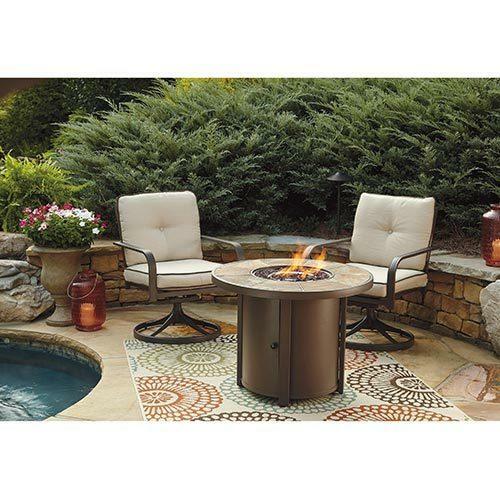 Get s'more out of your summer months with this comfy outdoor furniture set and slate-top fire pit.